Fifty-eight countries (including 28 in the European Union) have submitted their intended actions to reduce emissions ahead of the Paris climate conference at the end of the year. Known in the lingo as INDCs (or “Intended Nationally Determined Contributions”), these are voluntary pledges for carbon mitigation that individual nations are committing to achieve post-2020 and that will be the centerpiece of a new global deal. One way to look at these pledges is how big they are and how they compare between countries - for instance Australia’s target of 26-28% below 2005 levels by 2030, and the US’s target of 26-28% below 2005 levels by 2025. However just as important, if not more, is how the targets are going to be achieved. Not all efforts to mitigate climate change are equal. And we have to keep our eye on the prize. To stabilise the climate we have to ultimately reach zero net emissions globally. That is, human activities should release no emissions unless they are offset by direct removal from the atmosphere. Most scenarios limiting warming to less than 2C involve achieving net zero emissions globally during the second part of this century, often followed by a period of “negative emissions”. But achieving net zero emissions at some point is necessary to stabilise the climate at any level of warming. There are two types of climate pollutants: those that exist in the atmosphere for a short period; and those that stay for much longer. If a country reduces short-term pollution, but neglects long-term pollutants, it will continue to contribute to global warming. Short-term pollutants, particularly soot from burning biomass and fossil fuels, remain airborne for a few days only. They are often considered a cheaper and easier mitigation opportunity than reducing emissions of carbon dioxide (CO2) from the combustion of fossil fuels. In contrast, long-lived greenhouse gases remain in the atmosphere for hundreds or thousands of years. CO2, in addition to contributing by far the most to human-induced climate change, is also the greenhouse gas that remains in the atmosphere the longest. A return flight from Sydney to Perth per-person emits about one tonne of CO2, of which 400 kg will still remain in the atmosphere after 100 years, and about 200 kg will still be airborne in 1,000 years. It is the cumulative CO2 emissions since pre-industrial times that primarily determines how much the world will ultimately warm. Thus, the mitigation of short-lived versus long-lived climate pollution are not interchangeable as they are largely addressing different types of climate impacts. 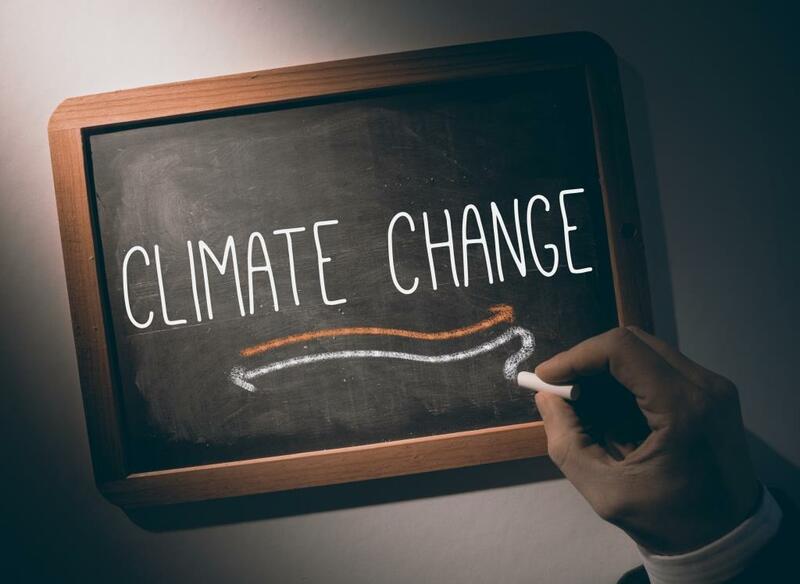 Reducing short-term emissions is good because it addresses short-term impacts of climate change, particularly on food production, and human health, or if an approaching tipping point in the climate system was identified that would require rapid action. However, an over reliance of mitigation efforts on short-lived gases, for example Mexico’s emissions reduction target, commits the country to further growth of CO2 emissions and pushes upwards global peak warming. There is a need to ensure that mitigation activities are enduring so that greenhouse gases are kept out of the atmosphere in the long term. There are concerns around some of the terrestrial-based mitigation strategies, particularly large-scale afforestation projects and carbon sequestration in agricultural soils, where disturbances (through fires, droughts and insect damage) or changes in land practices may cause these carbon sinks to be short-lived. Emissions targets need indeed to promote conservation and restoration of this biospheric carbon, but these should not be thought of as a replacement for ambitious reductions in emissions from the burning of fossil fuels. Most targets submitted so far allow the use of land-based mitigation, but provide no details on the extent that these activities might contribute to the overall national emissions reduction target. In general, options that avoid burning fossil carbon reserves are stronger, and involve fewer risks, than letting emissions take place and then removing them with reforestation. Likewise, options that avoid deforestation of natural ecosystems are stronger than letting deforestation take place and then trying to compensate elsewhere with afforestation programs. Is it on top of what’s already being done? We also need to know that countries are adding more to their efforts. “Additionality” is a term used to describe the departure from a business-as-usual emission trend, or a change that would not take place without new efforts. Many of the draft emissions targets show some increase in the level of ambition to reduce emissions compared to their previous commitments, including Australia, US and Europe. China’s commitment to achieve peak emissions by no later than 2030 is a globally significant effort, and clearly additional to existing policies, which have seen emissions growing by 5-8% per year over the past decade. To stabilise the climate globally, nations need to embark on a long-term domestic transformation in order to ultimately achieve zero net emissions. Most emissions targets submitted so far do not intend to rely on international mechanisms to achieve their own domestic targets. Emissions targets of some countries, such as Switzerland, separate the domestic effort from an “additional” effort using international mechanisms. Other countries such as Japan intend to use them but give no information on the fraction of emissions reductions that they will provide. Overall, emissions reductions targets will drive the necessary transformation to achieve zero net emissions. International mechanisms such as the Green Climate Fund will enable richer countries to support less developed countries to shift to low emissions technologies and adapt to climate change. Done well this can promote equity as well as increasing global abatement over the long term. The international climate negotiations have made significant progress since 2008, and the pledges already on the table for Paris the December will make a difference. However, the total ambition of pledges falls short of what is required to give a reasonable chance of limiting global temperature rises to 2C, and so any and all efforts to secure a stronger agreement should be welcomed. It is important to remember the ultimate goal needed to limit global warming: keeping cumulative CO2 emissions low (by reducing emissions now) and transforming our economies to get to zero emissions.